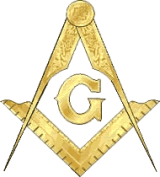 Home » Freemasonry » Frequently asked questions about Freemasonry » What is Esoteric Masonry? Interest in Esoteric masonry is starting to make a comeback. Not that its pursuits ever disappeared, certainly aspects have shifted in focus. It looks at aspects of personal resonance with the symbols of Freemasonry and helps develop our own faith. It can be very rewarding and fulfilling. But this is not strictly what masonry is, but one aspect of it.